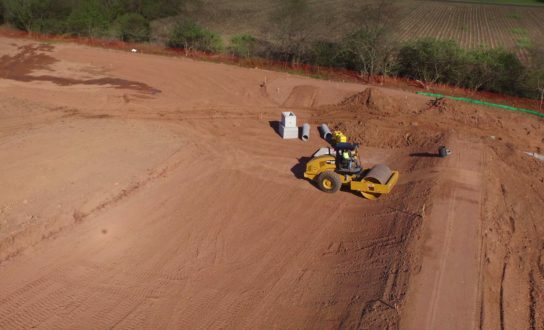 Tools like GPS guided grading equipment and aerial progress tracking allow us to execute with a higher level of precision and efficiency than ever before. With competitive pricing and commitment to client satisfaction, M.E.G. is recognized as a fast-growing company with knowledge, experience and extensive offerings to meet any site construction needs. Offering commercial, residential and industrial site construction services, we pride ourselves in delivering quality results focused on every detail. Mike was very easy to work with and reliable. He was hands on and oversaw his crew throughout the entire project, which was finished on time! We had a beautiful backyard and wanted to extend our deck, but there were a lot of restrictions from our home owners association. MEG Contractors paid close attention to the HOA rules and restrictions and still completed a beautiful, stone patio for us. The crew was friendly, professional and completed the job on time. We are so happy with the beautiful results from Mike and his team!